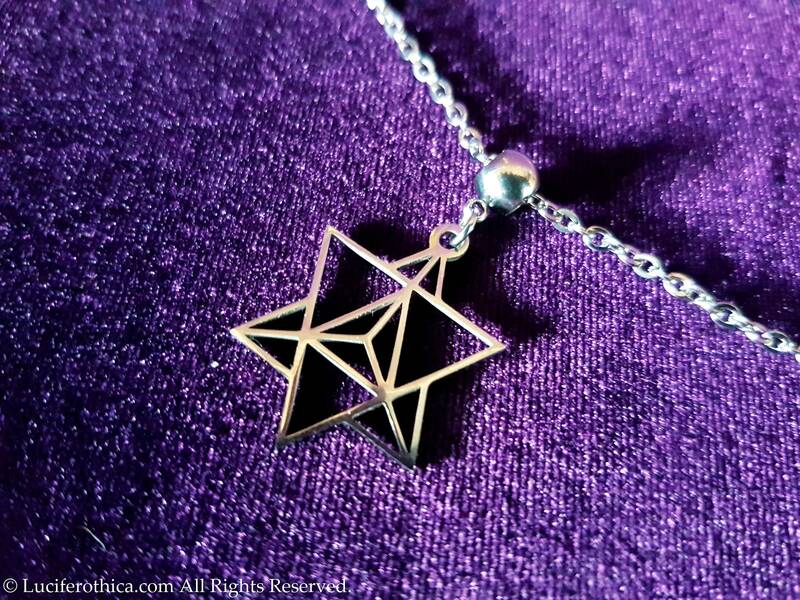 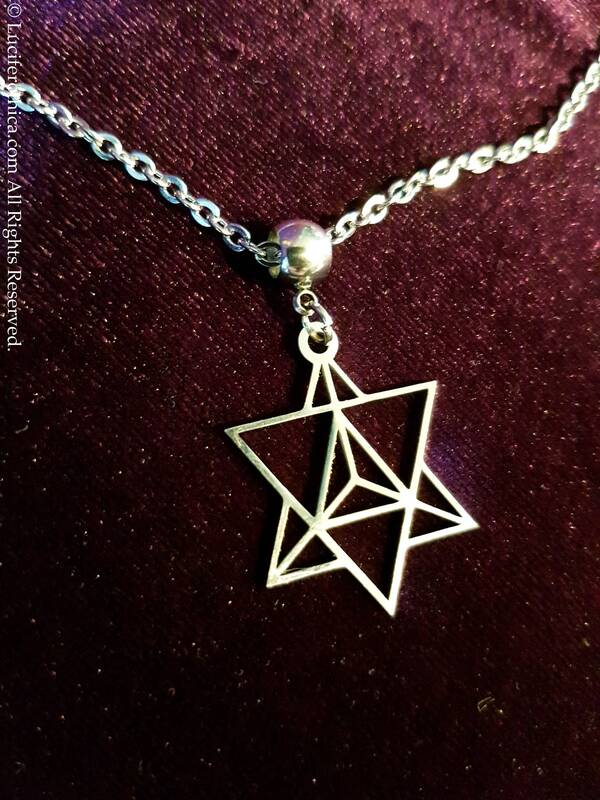 Beautiful high quality merkaba pendant. 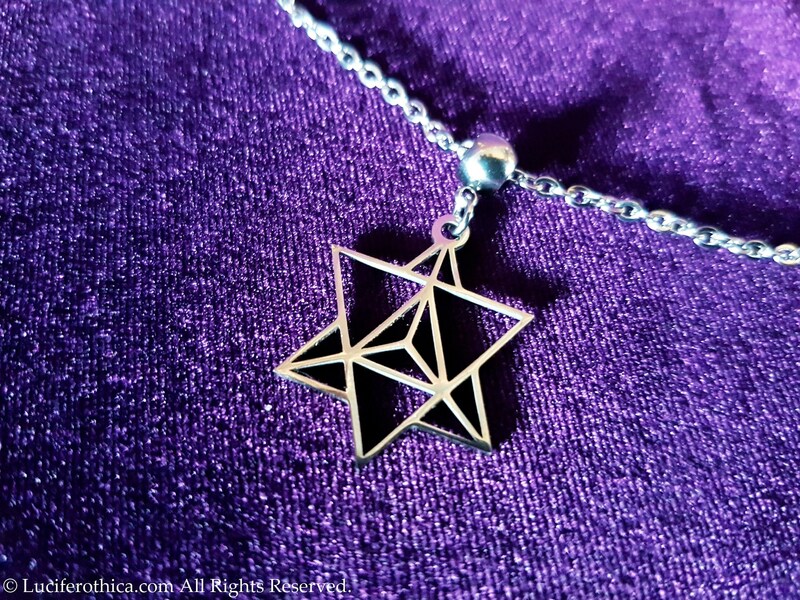 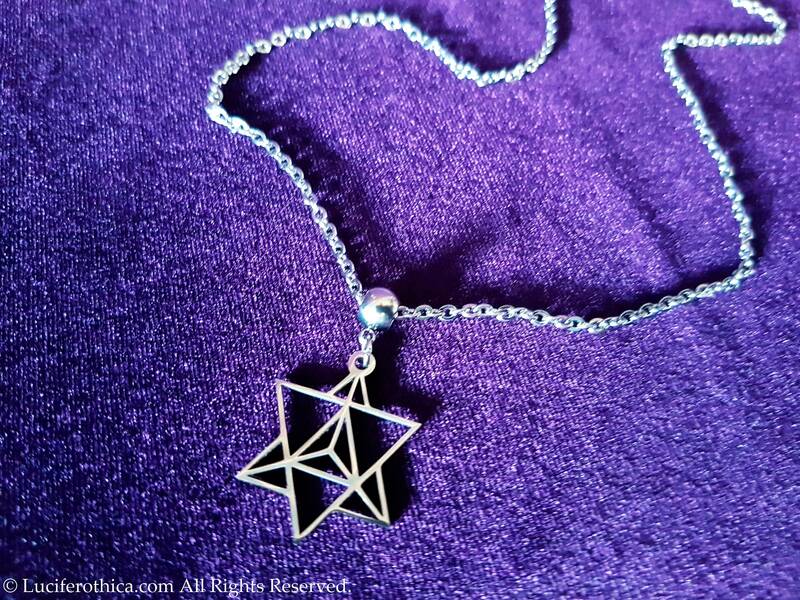 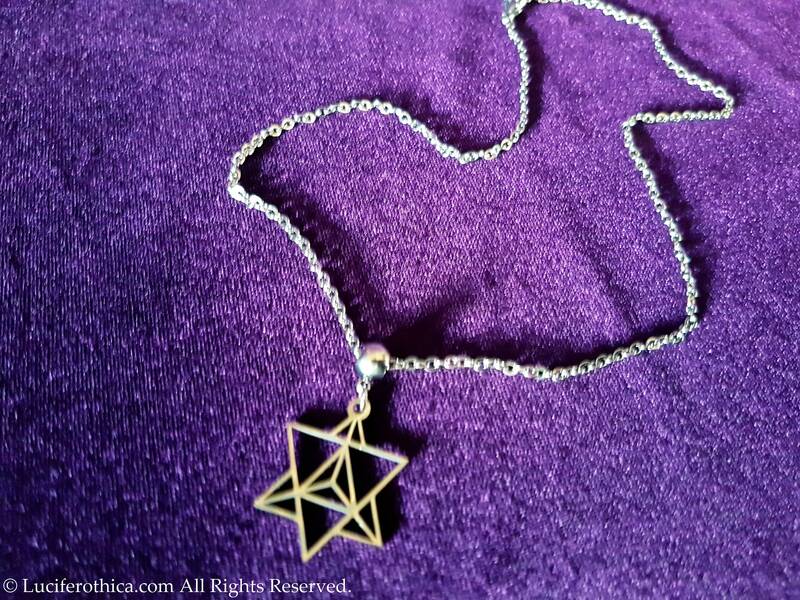 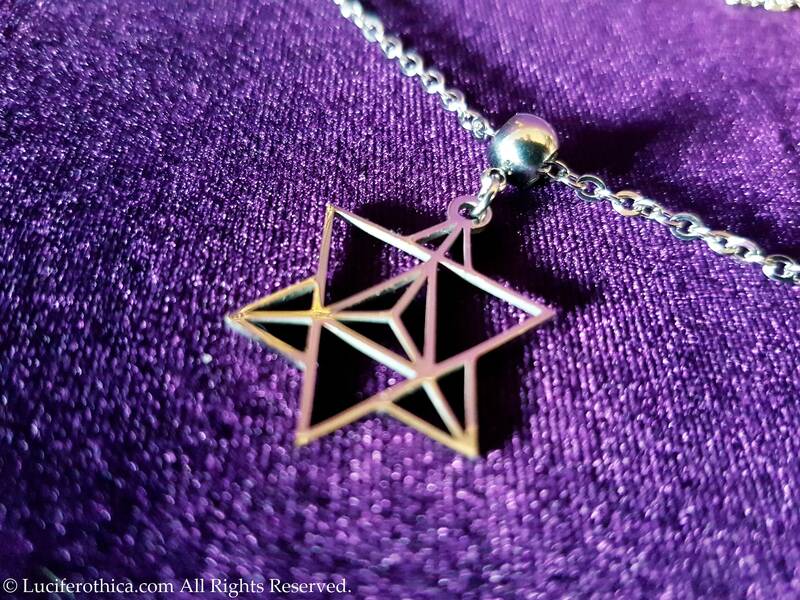 - Merkaba symbol and chain are made out of stainless steel. 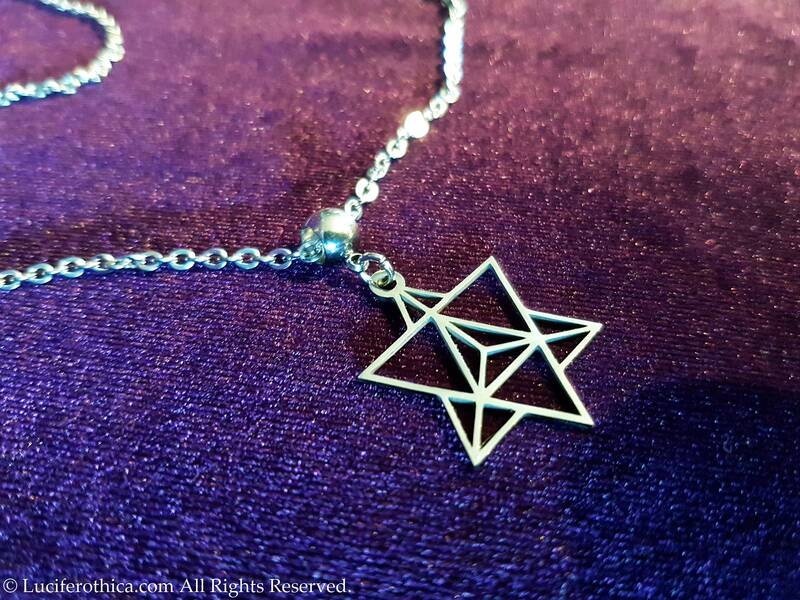 - 42cm long chain + 4cm extension chain. 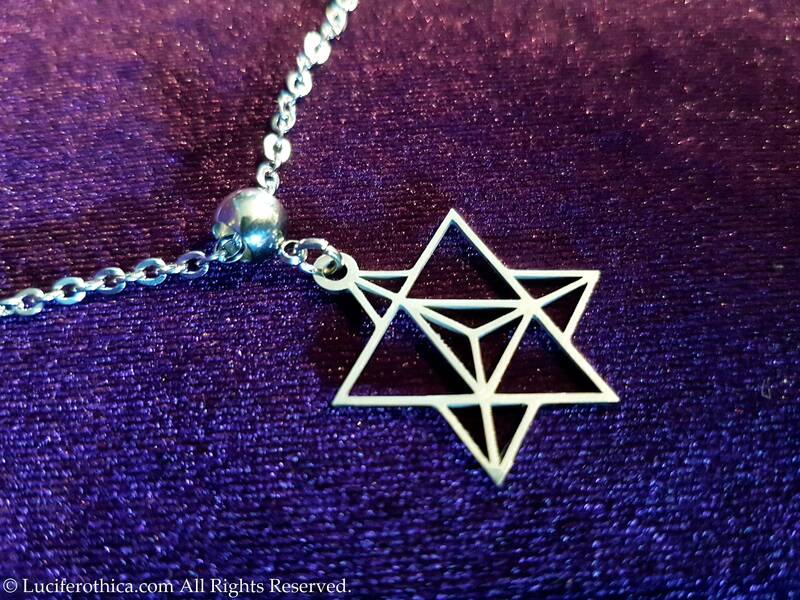 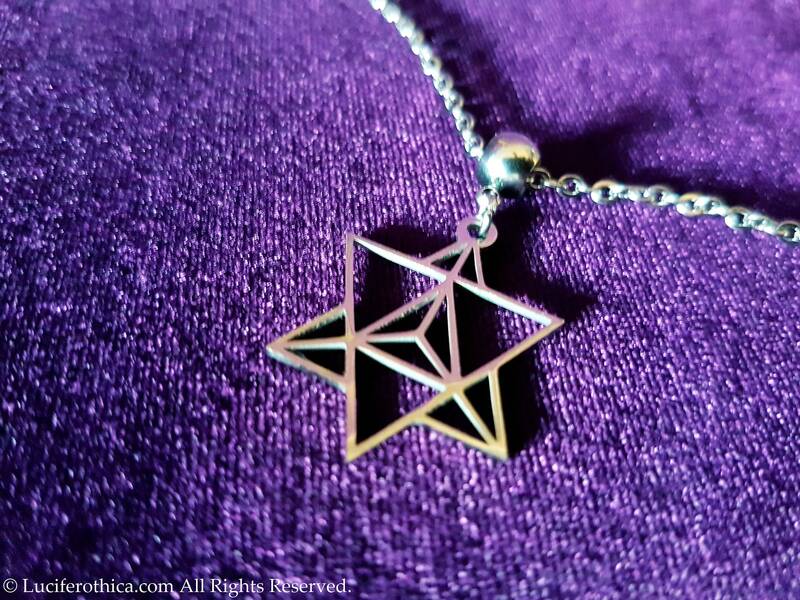 - Merkaba symbol dimensions: 25mm in lenght, 20mm wide.